ChallengeWave is a motivation engine for worksite wellness and reaches out to your entire workforce. We can help reach employees who haven't been traditionally physically active, as well as employees who have not responded favorably to existing wellness initiatives. ChallengeWave is offered at a low total expense with a simplistic, predictable pricing structure. ChallengeWave helps you optimize your workforce in a collaborative, supportive manner. 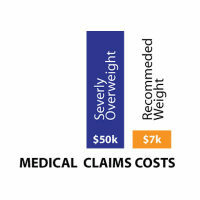 Medical claims expense is a function of the health of your workforce. 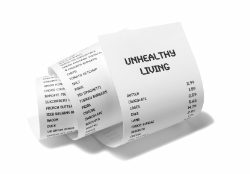 Unhealthy employee lifestyles add to the total cost of your health care plan. 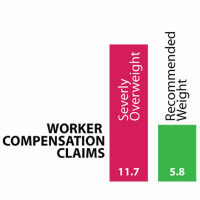 Unhealthy lifestyles also affect every employee by increasing cost sharing and health plan contributions. Use the CDC Obesity Cost Calculator to get an idea of your cost savings by influencing only one of several healthy lifestyle contributors to your overall expenses. 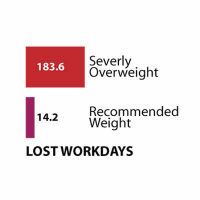 Unhealthy lifestyles also inflate lost-time and absenteeism costs. Absenteeism slows down business velocity and can create workload imbalances among staff. A study from Brigham Young University Department of Exercise Sciences states "...obese employees were more than twice as likely to have seven or more absences due to illness during the past 6 months." Modifying and sustaining group behavior change is an ongoing process requiring effort and consistency. ChallengeWave brings together the right elements for group behavior change in a cost effective way. ChallengeWave requires very minimal oversight and intervention from your HR professionals. Our plan is clearly laid out and objectively evaluated. Take a look at the ChallengeWave strategic plan ». Let us know when you have questions, or are ready to get your company enrolled in ChallengeWave.